This is me apologising for the lack of cool statistics and everything that I’d promised for this week. It turns out that the start of term is a very busy time of year. This can be shown by the fact it’s one am, and yet I’m writing this. This weekend is going to consist entirely of me helping my sister, who doesn’t understand the concept of packing, move house. It is stressful. We have to leave at 10am this morning, and I am yet to go to bed. Advice for anyone moving house, start packing more than 2 days beforehand. To continue with the apologetic tone, next week, I will be in London, so the post quality may not be great. Hopefully, as I am not yet in proper “school mode” and aren’t quite on top of homework yet, I will be able to write the first part about the responses to my survey, and create some sort of discussion on one of the aspects of the education system. You have been warned. 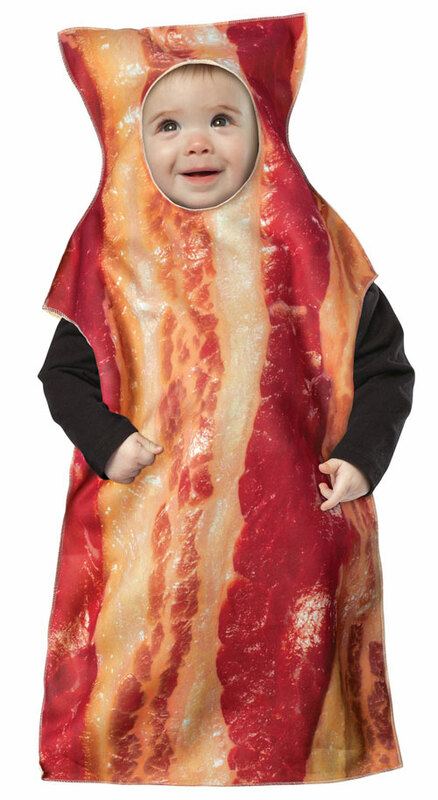 But before I go to attempt to get 8 hours of sleep in about 5 hours of morning, have a picture of baby dressed up as bacon.